The rate at which Information Technology (IT) is growing to- day is evident from the fact that it has invaded almost every part of our lives. The central government has implement- ed several national as well as state-specific schemes that run concurrent to a large num- ber of privately-led IT initiatives at school and higher education levels. Keen to use techno- logical resources in helping its mission to make higher education accessible to all students, the government has launched its National Mission on Education through Information and Com- munication Technology (NMEICT). 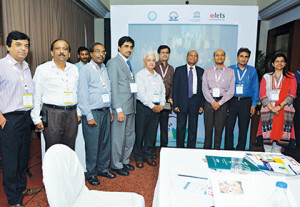 Use of ICT for promoting education and development has for long been a part of policy and plan documents on education. At the mo- ment, decision-makers at both the central and state levels are in favour of inclusion of new computer and Internet-based IT/ICT tools in education. This includes adopting cloud-based virtual classrooms, universities and mLearn- ing initiatives. Deliberating upon this vision and the way ahead, Pradeep Kaul, Senior Consultant, NMEICT, noted that India was the first country to have used satellite in a big way for delivering education to 2,400 villages in six states, for which it signed an MOU with NASA as early as September 20, 1969. The programme was called Satellite In- structional Television Experiment (SITE) and was launched jointly by ISRO and Doordarshan from August 1, 1975 to July 31, 1996. Unfortunately, as a developing na- tion, we got left behind somewhere in pursuing the use of satellite and ICT for education. “It is obvious that em- phasis on ICT is a crying need as it acts as a multiplier for capacity-building ef- forts of educational institutions with- out compromising the quality,” said Kaul. A modest budget allocation of `4,612 crore has been made in 2009 for NMEICT. Under this mission, a proper balance between content generation, research in critical areas relating to im- parting education and connectivity for integrating our knowledge with the ad- vancements in other countries is being attempted. “For this, what is needed is a critical mass of experts in every field working in a networked manner with dedication. Although disjointed efforts have been made in this area by various institutions and organisations, and iso- lated success stories are also available, a holistic approach is the need of the hour. This mission seeks to support such initiatives and build upon the synergies between various efforts by adopting a holistic approach,” Kaul noted. Kaul further pointed to the ICT Devel- opment Index (IDI) – an index published by the United Nations ITU based on the most important indicators for measur- ing the information society and combin- ing 11 indicators related to Access, Use and Skills. Amongst 155 countries, In- dia ranked 119th in 2011, with South Korea ranking at 1 and China at 78. “Our current Gross Enrolment Ratio is still at around 20 per cent as compared to an average of 45 per cent in developed countries. It shows that there is strong need in the country to use ICT for educa- tion,” he added. Acting upon the urgent need felt for connecting institutions, the MHRD has so far connected about 403 universities with 1 Gbps fiber optical connectivity and has also decided to make all such university campuses Wi-Fi enabled. Further, around 26,000 colleges have also been connected with 10 Mbps. The colleges connected are associated to central, state and private universities located across the country. The MHRD has also strongly pursued the develop- ment of e-content in several engineering and non-engineering subjects taught in colleges and universities. 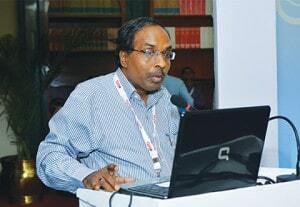 “About 1,200 courses are being developed by 7 IITs and the IISc under the NPTEL pro- gramme. As on date, more than 9,000 hours of NPTEL videos are available on YouTube and these are the most viewed educational programmes in the world with over 125 million hits so far,” Kaul informed. The MHRD is also procuring e-books and making them available to students across the country without charge. So far, more than 97,000 e- books and 6,350 e-journals have been procured and students from thousands of colleges are benefiting from them. NMEICT is also undertaking an initiative to set up a national library for visually challenged students. “MHRD has got 175 books converted to DAISY (Digital Accessible Information System) format in 6 languages and they are all avail- able online,” Kaul informed. Yet another programme ‘Interactive Quality Educa- tion Delivery to masses through 50 DTH channels’ is going to be launched by MHRD. It is designed to carry curricu- lum-based content in almost all subjects of higher education to be delivered on TV sets at home and at institutions free of cost using set top boxes with a one-time cost of `2,000. 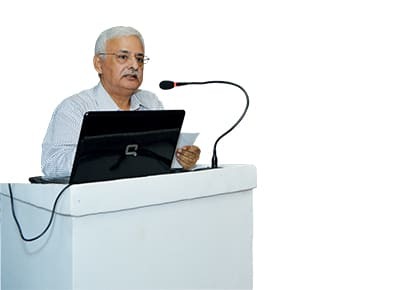 “The DTH programme of MHRD is a cost-effective and people-cen- tric programme and makes use of tech- nology-enabled products that students of the country can afford for long distance education,” Kaul said. Perhaps the most interesting aspect of this programme is that content can also be viewed on IP devices and students shall be able to interact live on each channel and ask questions to teachers in studios and seek instanta- neous reply through video conferenc- ing, mobile/land line, SMS, e-mail etc. The content shall also be converted into e-content into four quadrants using a template and made available to view- ers on demand through MHRD’s cloud servers. Total fresh content generation and delivery is going to be to the tune of 1,46,000 hours a year, equivalent to 3,650 courses of 40 hours each. Around 2004, the need was felt for making use of technology to reach out to large number of students as there was dearth of sufficient number of qualified teachers. There were several instances where senior undergraduate teachers were teaching the next batch. This prompted a good number of IITs and the IISC to come together to decide upon the kind of cours- es that were required as prescribed by the AICTE and other universities. They decided to create a resource of whatever is taught to an engineering student. 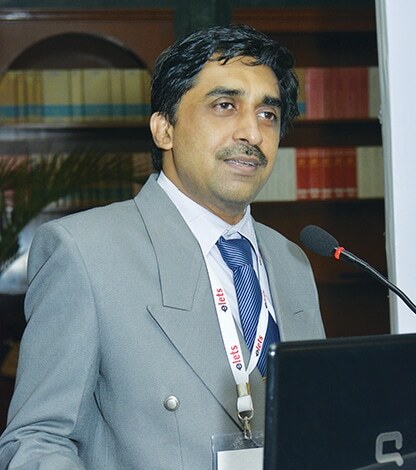 Prof. Kushal Sen, Department of Textile Technology, IIT- Delhi, talked about the development being brought about by National Programme on Technology Enhanced Learning (NPTEL). “When we started, bandwidth in the coun- try was not that good. We wanted web- based instruction material. However, some thought that video mode would be better due to limitations of Internet availability. But as Youtube became very popular, we started uploading videos, and the students preferred these video over traditional meth- ods. Then we went for Phase II, where we are providing web-based and video-based instructional material to whichever institu- tion requires it, besides IITs and associated universities,” said Sen.
Education through technology also needs to be interactive. The issue here is with answering queries. With several students opting for web and video-based material, it is no good if questions can’t be answered. “For this purpose, we de- veloped FAQ material where we provide links to detailed analysis of that topic. We also have highly qualified people willing to help with queries. “We provide massive online learning. Anywhere in the world, you get an hon- ours certificate for participating in it. We thought that in the country, we can de- velop online programmes where students can take an exam and get certificates. In one case, out of 65000 who appeared, 25,000 took the online exam. We are yet to see if students clearing these ex- ams can become employable,” Sen noted. Virtual online universities is another idea that MHRD has in mind. “Self-learning is of utmost importance when it comes to ICT in education. It is also required that people from industry are involved as they are aware of what the industry wants. We still have miles to go,” Sen observed. Prof. Ranjan Bose, Department of Electrical Engineering, IIT Delhi, stressed upon the Virtual Labs project which comprises 12 partners with IIT Delhi leading in terms of coordination. The study of engineering is pointless without a laboratory. However, physical labs come with their own requirements such as costly equipment etc. “We looked at these problems and realised that we can have a proper ICT based solution,” said Bose. Here, there can be an actual physical lab with several users accessing it remotely through the Internet. “The problem is that if I am accentuating a real lab experiment, I cannot scale up this model. I cannot have several people tinker with the same equipment in a dif- ferent manner,” Bose noted. Thus, the need was felt to scale up the project big time. This led to the idea of simulation based labs which don’t of- fer anything less in terms of learning. The first step here was defining the target group. This was followed by major objec- tives being devised into a four-fold model. “With the idea to provide remote access to labs, we are catering to UG, PG and even research scholars and we would like stu- dents to learn at their own pace. We want to arouse their curiosity. The big question is whether we can build a complete learn- ing management system around this vir- tual lab experience, which we don’t have even today,” Bose observed. Today under NPTEL, there are over 100 labs at IIT Delhi and plans are to scale it up now. Phase I is over and Phase II talks about proliferation and outreach. Till date, 150 workshops around 125 colleges have been conducted and two lakh students have tried these labs and provided feedback. “We have a restricted number but now we will go all out and will be doing workshops and training. Moreover, we have been monitoring the usage of these labs. These labs are being used late into the night and weekends, which is a great advantage,” said Bose. When we talk about ICT-enabled learning, it also has the potential to pro- vide solutions to issues such as shortage of qualified faculty. Shyama Iyer, Project Manager at The Spoken Tutorial Project, MHRD, believes people need to get com- fortable with technology. If a teacher runs away from technology, students run away from them. “The attention span of today’s generation is less. Using open source software is the smart thing to do,” she says. Spoken tutorial is an audio-video tool used to teach open source software where students learn a software in short simple steps in an interactive manner. They can replicate the instructions, build and run the highly manageable programmes. 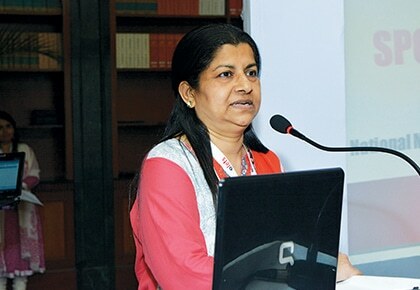 “What is remarkable is that we have conducted 2,500 workshops across the country,” Shyama informed. Talking of the various advantages of the initia- tive, she said, “In programming, there is nothing like writing your own program, compiling and running it. It helps that instead of reading theory, you see the concept in a small programme, do it, practice it and understand it hands-on”. Over 4 lakh students have been trained in colleges, polytechnics and ITIs in the past three years. For each software, the training consists of a first session of two hours, followed by self revision of the remaining topics and a one hour long online assessment test after a month or so. The two-hour session or workshop can be accommodated in the lab hours of the related course being taught. Once it is downloaded from the website and installed in the systems, learning can be offline and Internet is not needed. The course content includes the soft- ware, 10-minute long video tutorials to cover the topics, assignment questions and an instruction sheet. It is suited for individual self-learning without the need of an expert teacher. Students do not need to leave the campus but learn in their own labs and guidance is pro- vided by team at IIT Bombay. There are questions all around and the essence lies in whether we can con- vert the question into a great tool to teach, said Rahul Deshmukh, Techni- cal Officer, IIT Bombay. “With this aim, IIT Mumbai has started a project. Ask a question (AAQ) is a unique question and answer series in the field of engineering and science which offers open access to the responses of IIT Mumbai faculty. One has to just give a missed call to the number and get the information of the next session by SMS,” he informed. Here is how it works. The online vid- eo courses portal “Courses on view” has an AAQ question bar. The AAQ applica- tion programme interface (API) is made available and can be embedded to any website to directly post questions. The question and answer collection is also available on DVD. “Recently AAQ has started in the faculty of Physics and we are in the pro- cess of starting AAQ in design as well. There is an Online Live Interactive Ses- sion,” Deshmukh elaborated. Under the programme, every Thursday at 4 p.m., an expert is available to answer all the queries. In three and a half years since this programme took off, today there are over 81 remote centres, more than 1,600 questions have been answered, and the number of beneficiaries is ap- proximately 36,000. Nageshwar Nath, Maintenance Engi- neer, Consortium for Educational Com- munication (CEC), New Delhi, informed how its centres comprising about 500 trained manpower and state-of-the-art equipment, are engaged in production of video and multimedia-based pro- grammes for the past 28 years. CEC has one of the largest repository which in- cludes more than 23,886 educational video programmes, more than 8,086 e-content modules and 1,500 short learning objects. Over 2,500 video programmes, e-contents, LOR etc., are added to the repository annually. “The MHRD vide its communication dated March 31, 2009, has approved a project proposal for e-content development to CEC in under graduate subjects. 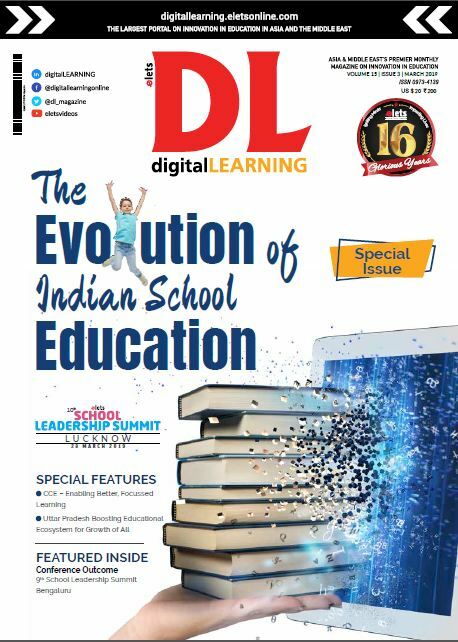 CEC, along with me- dia centres, has developed an e-content template in four quadrants following in- structional design methodology, which has been accepted as a model template by MHRD,” Nath informed. Apprising the gathering of other ini- tiatives that are being undertaken for use of ICT in education, Nath further talked about their programmes with Centre for Development of Advance Computing (CDAC), Pune, starting skill based and languages e-courses in col- laboration with Universities and creat- ing local storage at University /Colleges where entire content can be stored for viewing by students. Viewed as a powerful means to build a knowledge-based society, higher edu- cation plays a pivotal role in the develop- ment of any country. The will from the government to promote use of technology in education is visible. The programmes initiated a few years ago have finally start- ed to take shape. Monitoring the imple- mentation of these technologies at institu- tions in the boondocks and addressing the infrastructure related issues therein is the next step forward. One hopes that these ef- forts multiply and find greater acceptance at all levels so that one can find the right mix of teaching and learning methods for the larger good of education in India.